Performer of the violin, viola, cello, viola da gamba, violone, lute and theorbo; accompanist, researcher and teacher. After gaining the Royal Welsh College of Music and Drama's String Scholarship in 1999, Shaun moved to Europe to study the instrumental performance with many of the best practitioners of early music. He studied the violin with Margaret Faultless and Oliver Webber (RWCMD), and the viol with Richard Boothby, Lucy Robinson (RWCMD) and Mieneke van der Velden (Conservatorium van Amsterdam). He also participated in the master classes of José Vázquez, Catharina Meints and, most recently, Paolo Pandolfo. At the University of Western Australia, Shaun studied musicology with David Tunley and Suzanne Wijsman as well as orchestral conducting with Peter Moore. During this time, he also taught himself to play the theorbo and subsequently received lessons from Lucas Harris at the Baroque Performance Institute at the Oberlin Conservatory (2008, 2012) and the Tafelmusik Baroque Performance Institute at the University of Toronto (2012). In 2010, Shaun won the Australian Postgraduate Award to pursue doctoral studies at the Conservatorium of Music at the University of Sydney and relocated to that city. He graduated with a Doctor of Musical Arts degree in 2013, studying with Alan Maddox (musicology), Neal Peres Da Costa (historical performance), Daniel Yeadon (cello/viola da gamba) and Tommie Andersson (lute). In Australia, Shaun has performed and recorded with ensembles such as Ensemble Battistin, Ironwood, St James Baroque, The Marais Project, Thoroughbass, Perth Viol Consort, The Camerata of St John's, Opera Queensland, the Melbourne Bach Choir and The Sydney Conservatorium's Early Music Ensemble. 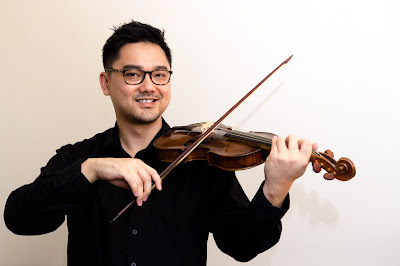 He has presented his research at conferences such as The Pan-Pacific Gamba Gathering (Hawaii, USA), Baroque Performance Institute (Oberlin, USA) and the Musicological Society of Australia. He has published his research in The Viola da Gamba Society Journal (United Kingdom).